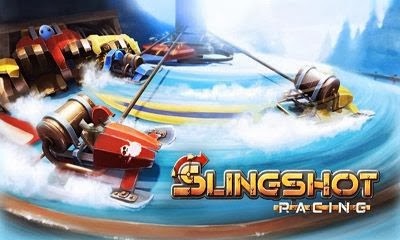 Slingshot Racing is an original racing game developed exclusively for touchscreen devices. 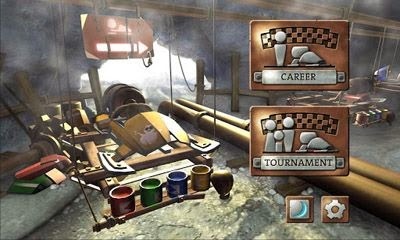 Behold a beautiful steampunk environment with ice tracks, grappling hooks, snowmen and more! Pro Tip: To deploy the hook try picking a corner of the screen and just keep pressing there. 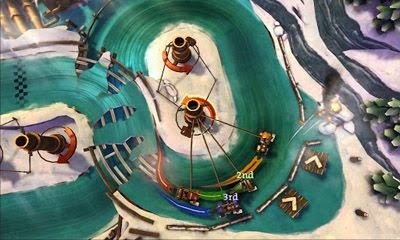 You do not need to press on the towers to slingshot.